Bringing a camera? 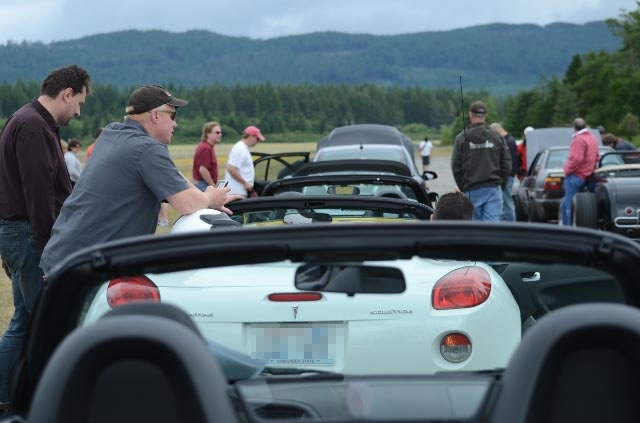 Here are some simple photography yips to get some great pictures of autocross. Remember to have a spotter or shoot from a safe place. Talk to the event chair for the safest places to shoot or if you need a spotter. Try having a variety of subject matter; the grid, the lunch line, the course walk, the crumpled course map, tech, the starting line etc. Look for the various different things that make the day interesting. Bear in mind that people always make great subjects. Every event is particularly meaningful to someone. 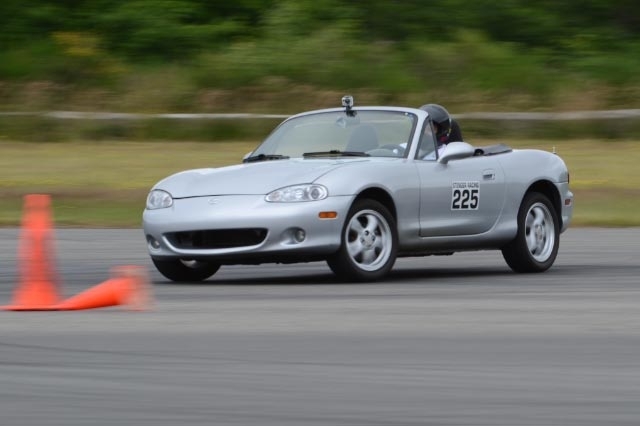 It could be their first autocross, first time driving a particular car or first win. Watch for candid moments of laughter, euphoria, disappointment, etc. and capture them. To capture the sensation of speed, pan the camera, following the motion of the car. This gives motion blur to the background and makes the car look fast. A monopod is very useful here, but many modern cameras and lenses can work with a steady arm too. When photographing cars up close, avoid shooting from standing eye-level as that will create a boring, slant-down perspective. Try kneeling to get a 'horizontal' perspective, or go even lower to get a look-up perspective. Try tilting the camera, zooming in real close or widening the angle. Experiment in order to find more interesting perspectives. 'Headless workers' in the background are scary. Remove them, along with other elements that aren't necessary to your subject. Applying the basic 'rule of thirds' and other composition tips can go a long way in making your photograph appealing.